Trek'N Eat offer unique freeze-dried foods that can be prepared with water. Perfect for your ready made meals when traveling, on expedition, while boating, and on family outings. Meals from Trek'N Eat are created with quality freeze-dried ingredients, and thus maintain most of the food's natural vitamins and minerals. All Trek'N Eat meals are labelled with the "All Natural" sign indicating no preservatives, no colourants and no flavour enhancing additives. Trek'n Eat foods have a high calorie count and are packaged in waterproof resealable standing pouches. The Trek'N Eat product range consists of complete meals, vegetarian meals, soups, vegetables and other diverse nutritional items from breakfast to dessert. 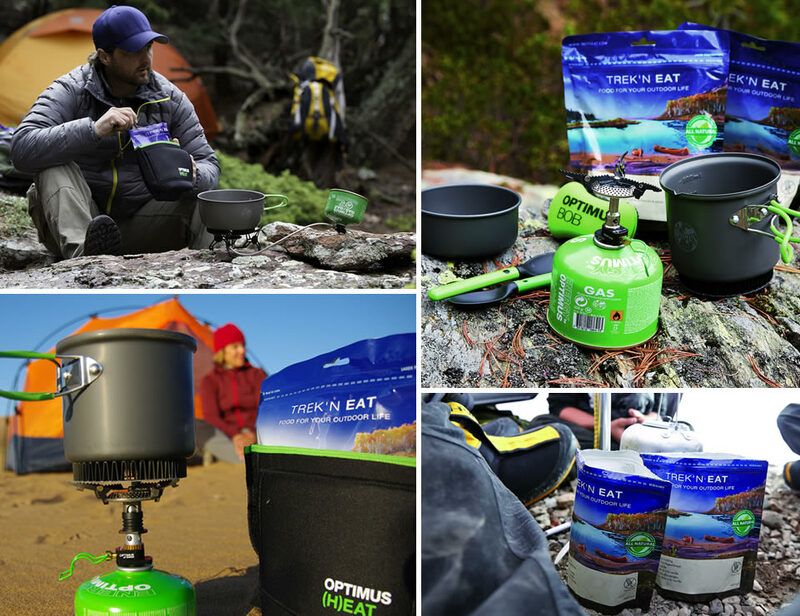 Trek'N Eat meals are used as special nutrition by many expeditions. All that is required to restore the freeze-dried ingredients is hot water. Meals are based on a value of around 600 calories per package to cover the increased energy consumption during sports activities. They also deliver special sizes and nutritional planning upon request. Not all stockists will offer a full range of products, please contact the retailer before travelling.